Facial nerve transfer surgery can help improve facial reanimation for those who suffer from permanent Bell’s palsy or complete facial paralysis. It offers a safe, effective treatment, one that has been shown to help individuals who have experienced facial paralysis symptoms for three years or less. As part of a facial nerve transfer procedure, Dr. Babak Azizzdeh, a facial paralysis and reconstructive surgeon, will make an incision around the front of the ear. Next, Dr. Azizzadeh will identify the masseteric nerve, which is used to activate the chewing muscles, and facial nerve. The masseteric and facial nerves are then sewn together to help restore the facial muscle function and smile. 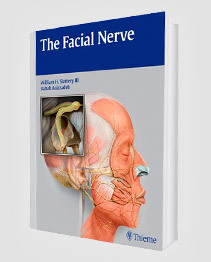 In most instances, facial nerve transfer patients will need seven to 10 days to recover from surgery. Patients often can resume a regular diet the day after surgery but should avoid exercise, heavy lifting and any pressure to the affected cheek in three weeks following treatment. It is important to note that patients may require several years to gain strength and control over the reconstructed smile. To better understand why this sometimes is the case, let’s consider an example. A pianist who suffers a hand injury may require therapy to rebuild the affected hand muscles. Over the course of several weeks, months or years, this individual can strengthen the hand muscles and gradually build up to playing the piano at prior levels. Much in the same vein, there is no way to jump-start the facial nerve following facial nerve transfer surgery. This means a patient will need muscle retraining to strengthen the facial tone and ensure it is equal on both sides of the face. Muscle retraining helps reduce unwanted muscle activity and increase voluntary movement and excursion. It includes stretching, massaging and soft tissue mobilization to make the facial tissues supple. 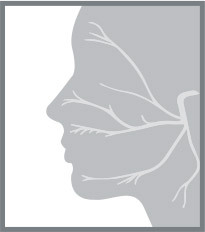 An expert physical therapist, such as Jackie Diels at the Facial Paralysis Institute, may initially perform manual massage techniques to help the patient decrease facial muscle tightness and improve flexibility and range of motion. Ultimately, the therapist will teach a patient how to perform the techniques at home for maximum benefit. Muscle retraining also involves coordinated muscle movement patterns and focuses on teaching patients how to control individual facial muscles. These subtle but critical exercises teach and retrain the brain to coordinate the facial muscles more effectively and efficiently. On average, muscle retraining for facial nerve transfer patients requires approximately 18 months to three years to complete. 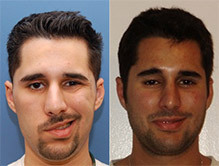 This may seem like a long time, but the strength and control of the reconstructed smile will continue to improve over the years and allow a facial nerve transfer patient to enjoy a naturally occurring and effortless smile. The Facial Paralysis Institute can provide individualized facial exercise and movement recommendations for muscle retraining after facial nerve transfer surgery. Dr. Babak Azizzadeh and Jackie Diels, both world-renowned facial paralysis experts, take a team approach when treating patients to make sure the patient gets the best surgical care and individualized therapy afterwards. This approach reduces the risk of facial nerve overcorrections that can lead to muscle spasms. Dr. Azizzadeh is a double board-certified otolaryngologist and facial plastic & reconstructive surgeon with extensive training and knowledge in facial nerve transfer surgery, muscle retraining and facial reanimation and helps patients get the best possible outcomes. 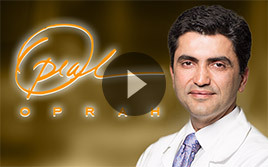 He is the only facial nerve expert to be featured on the Oprah Winfrey Show for his extensive knowledge in the field. To schedule a facial paralysis treatment consultation with Dr. Azizzadeh, please call us today at (310) 657-2203.